The Hollywood Warmup is a book of warmup routines, available in different versions for all wind instruments plus percussion. There are two books in the series, titled A Knight's Tale: Beginner Book and A Knight's Tale: Advanced Book. Each has specific commentary by a specialist. Henry Henniger of the University of Oregon provides commentary in the trombone book. The Beginner book reviewed here is appropriate for an advanced high school level player and beyond. A warmup book entitled A Knight's Tale may appear a bit incongruous. The purpose of the book is to take common warmup exercises - long tones, lip slurs, tonguing exercises, i.e. the bread-and-butter routines from the Remington Warmups and beyond, and accompany them with varied recordings that sound like movie soundtracks. There are nine exercises, each with a unique title and style that begin with a four beat orchestral count-off to set the tempo. Each exercise has a commentary by Henniger explaining its purpose, hints for correct execution, and a "Change It Up!" section for various options of articulation and style. For example, the first study, titled The Journey Begins, is the well-known long tone trombone exercise in descending whole notes: Bb-A, Bb-Ab, etc. The accompaniment is what you might hear in a Lord of the Rings cinema epic. 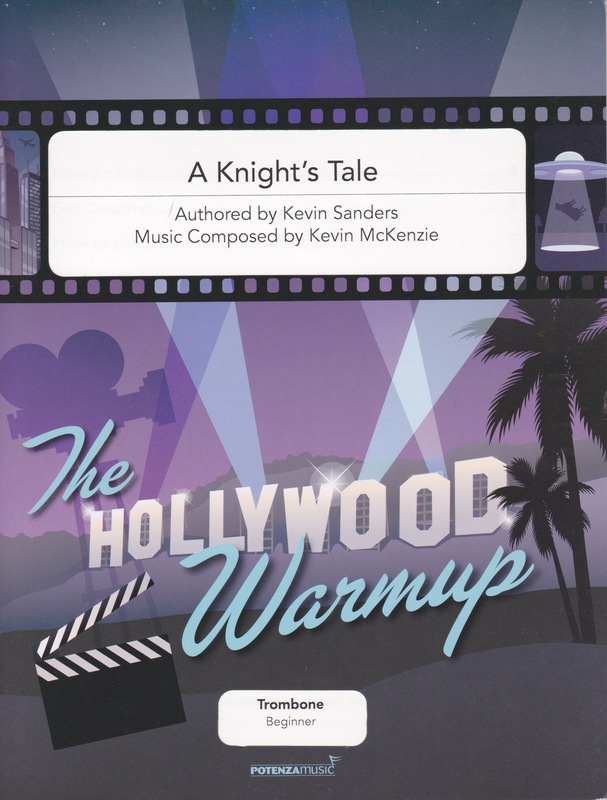 Successive exercises feature lip slurs, tonguing exercises, scales, and other warmup routines, all accompanied by movie music in various styles. Most exercises feature multiple versions of the accompaniment at different tempos; as of now there are 36 available for download. The concept offered here of adding synthesized, full orchestral accompaniments to what could often be a humdrum routine is imaginative and opens up many musical possibilities for individual and group warmup sessions. For example, having an exercise available in six different tempos from mm 85 to mm 150 changes the player's musical approach for each version. This is a creative book worth owning.